In September 1991, the president of Afghanistan, Muhammad Najibullah, a former communist secret police chief turned Islamic nationalist, delivered an emotional speech to the Afghan parliament. Najibullah knew the era of foreign intervention in Afghanistan over which he had presided was ending. The Soviet Union had pulled back from direct combat. Radical Islamist rebels covertly backed by Pakistan controlled much of the countryside. Before parliament, Najibullah begged for national unity. His countrymen faced a stark choice, he believed: They could unite to protect Afghanistan’s political, religious, and cultural diversity—including millions of girls in schools and women in jobs—or they could succumb to an obscurantist revolution carried out by religious fanatics aligned with a hostile neighbor. If President Hamid Karzai reflected occasionally on his predecessor’s homily, it might brighten the prospects for American policy in Afghanistan. The Afghan president might be advised to reflect as well on Najibullah’s fate, after his exhausted international partners abandoned him: The Taliban beat him to death and displayed his corpse in a Kabul traffic circle. Najibullah failed, but, toward the end of his presidency, he had many of the big ideas right, as General David Petraeus might say. Under pressure, Najibullah developed a credible political and regional diplomatic strategy to reinforce Afghan national unity in the face of an intensifying Islamist insurgency. At home, he exploited conflicts within the armed opposition and negotiated power-sharing truces with regional, tribal, religious, and militia leaders. Abroad, he appealed to Moscow, Washington, New Delhi, Ankara, European capitals, and the United Nations to support a political process designed to isolate extremists. In speeches, he continually appealed to Afghan nationalism. To foreigners, he pleaded for cooperation on the basis of common interests—mainly, the prevention of a radical revolution that would destabilize South and Central Asia. But for American indifference and the final collapse of the Soviet Union in late 1991, he might have made it through. Since taking command of the Afghan war effort, Petraeus has stressed the importance of “unity of effort” within the Obama administration. By pointedly repeating that phrase, he has sought to repair the fissures exposed by General Stanley McChrystal and his aides in their undisciplined comments to Rolling Stone. Petraeus is right to demand better of his colleagues, of course, but American unity of effort will be insufficient even if it can be forged; Afghan political cohesion matters much more. To date in Afghanistan, American political strategy, if it can be called that, has mostly exacerbated the country’s fragmentation. If the Obama administration is to succeed, or at least avoid catastrophic failure, it will have to nurture a very different political climate. Among other things, Afghan unity will be necessary to hold the improving but ethnically unbalanced Afghan National Army together during the next several years, as NATO troops gradually pull back from combat; to forestall coups or assassinations in Kabul; and to broaden the political base in Kabul from which reconciliation talks with elements of the Pakistan-backed Taliban leadership can be tentatively explored. In the absence of such unity, no military campaign to contain or marginalize the Taliban is likely to prevail. Unfortunately, the Afghan body politic is in increasing danger of fissuring. Afghan faction leaders and the Pakistan Army can easily see that the days of extensive direct ground combat by NATO forces are numbered. All the regional and internal parties to the conflict are therefore maneuvering—unstably—to shape the aftermath of a NATO-dominated ground war. Pakistan is pushing its most noxious proxy militias, such as the Haqqani network, toward the bargaining table, in search of influence, and Iran is priming its networks in western and central regions of the country. American military commanders and policymakers must now either control this hedging process or be defeated by it. President Obama’s decision to announce a transition date for U.S. combat troops in July 2011 created intense confusion in the region. Lately, Obama has attempted to clarify that his policy would not amount to “switching off the lights” in Afghanistan irresponsibly. His appointment of Petraeus is as stalwart a signal as he could possibly send. Yet Canada has named a withdrawal date, the Dutch are going, and even Britain’s new prime minister mentioned 2015 as a lights-out date. Afghans know that neither Obama nor Petraeus can deliver Europe or control American public opinion about a deteriorating war. 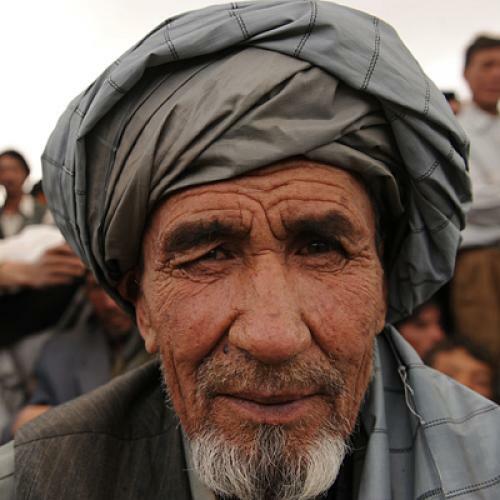 Northern Afghan ethnic groups such as the Hazaras, Uzbeks, and Tajiks (who heavily influence the Afghan National Army) today must prepare for the possibility of renewed, post-NATO civil war against Taliban militias supported by Pakistan. This prospect—a repetition of the death and misery of the 1990s—hangs heavily over the country. In some respects, the memory of that war is a source of enduring restraint; no sane Afghan wants to return to those dark days. The United States has exacerbated Afghanistan’s centrifugal forces in several ways. In addition to signaling an exit strategy without actually possessing one, it has lashed itself, since the Bush administration, to a single, self-isolating politician—Hamid Karzai—whose temperament increasingly suggests King Lear. Karzai has lately confused and worried his countrymen by negotiating in secret with Pakistan and the Taliban about the country’s future; by firing his spy chief and interior minister for opaque reasons; and by engaging in other dangerous bluffs. To have any hope of achieving their goals in the country, the United States and NATO will require—with as much of Karzai’s leadership as they can obtain—the largest possible anti-Taliban coalition, encompassing not only the presidential palace and its self-protecting networks, but also Karzai’s political opposition, the parliament, women’s groups, and civil society, as well as military, tribal, religious, and regional leaders. To date, coalition-building efforts of this character, such as the Kabul peace jirga staged in June, have been instrumental and controlled by the presidential palace; they have not been seen as credible by many important groups fearful of the Taliban. When the leader of the Afghan opposition, Abdullah Abdullah, visited Washington this spring, hardly anyone in the Obama administration would see him, for fear that such a meeting might unleash paranoia in the presidential palace. But the appeasement of Karzai’s insecurity cannot make for durable politics. There are multiple strategies or institutions that could be employed to build a broader coalition, using international leverage and support: an emergency national unity cabinet; a parliament-led or otherwise broadly based national commission to explore talks with the Taliban; a series of national jirgas that were truly independent and representative; or a “Bonn II” process of constitutional reform supported by international diplomacy, to incorporate corrigible Taliban and broaden political participation at the provincial, district, and town levels. The mechanisms of such a strategy matter less than its purpose: the visible, credible, sustainable reinforcement of a national consensus to prevent the Taliban or any other armed faction from seizing power as international troops gradually pull back from direct combat, and as international policy in Afghanistan increasingly emphasizes politics, economics, and regional stability. The rhetoric and negotiated pursuit of national unity lay at the heart of Najibullah’s political strategy during the Soviet exit. Karzai lacks Najibullah’s toughness and savvy, but the money, arms, internal political networks, and international coalitions potentially at the Afghan president’s command are far more powerful than any Najibullah could muster. For the United States to deliver Afghanistan to its next presidential election in passable condition, Karzai does not need to become Nelson Mandela. However, his flawed but constitutionally legitimate leadership does need to be located in a much broader political and regional diplomatic setting, one that can help Afghans to pull together in the face of what the great majority of them still view as the unifying threat of the Taliban’s violent coercion. As the war has grown more difficult, American and European commentators who advocate for troop withdrawal often seem to find it necessary to dehumanize Afghans to justify their own loss of will, or to blame Afghans for the international community’s own policy failures—i.e., saying the country is hopelessly corrupt, drug-addled, primitive, perpetually at war. Among its other flaws, this line of thinking misjudges Afghanistan, a pluralistic and very poor country that has repeatedly rejected Taliban-style ideology and retains a strong sense of national identity, one that produced a unified and mainly peaceful nation for much of the twentieth century, until a succession of outside invaders shattered its cohesion and independence. Steve Coll is the president of the New America Foundation and author of Ghost Wars: The Secret History of the CIA, Afghanistan, and Bin Laden, from the Soviet Invasion to September 10, 2001.